Conveniently located just off Dubai’s arterial Emirates road and the Dubai Investment Park road, within the Jebel Ali community zone, south of the Ibn Battuta Mall, Al Furjan is a massive upcoming 560-hectare development that is largely inspired by the rich cultural heritage of Dubai’s Arabic history. The Al Furjan development comprises four specific villages, North, South, East and West village. The development will include 4,000 houses, apartments, hotels and commercial & mixed use plots. The area of the project is 5.6 million square metres south of Ibn Battuta Mall. With Nakheel as the master developer, the estimated US$1.5bn Al Furjan development will comprise four specific villages: North, South, East and West. The development will include about 4,000 houses, apartments, hotels and commercial & mixed use plots, located within the commuter zone of Dubai. Located at Dubai’s fast developing Al Furjan, Azizi Holdings four premium residential projects – Azizi Liatris, Azizi Orchid, Azizi Yasamine and Azizi Feirouz, offer discerning buyers the chance to own a centrally-located apartment with all the frills that support a contemporary lifestyle. Azizi Holdings is one of the largest developers at Al Furjan with multiple residential projects in varying phases of development. Heading this list is Azizi Liatris, which offers a choice between 1/2/3Bhk (with maid room) apartments, ranging from 902-1746 sqft. Priced from AED 8,56,900-onwards, this tower project is located in close proximity to several landmarks like: Sheikh Mohammad bin Zayed road, Discovery Gardens, Al Warood Street, Hadiqat Al Madina supermarket, Dubai Islamic Bank and the Premier Inn. World-class amenities on offer here include a swimming pool, community gardens, steam & sauna, Jacuzzi, covered parking and a gymnasium. Residents also get a wide array of interiors amenities like a fully-furnished apartment, built-in wardrobes, central air-conditioning and heating, a fully-equipped kitchen, adequate security and a pet-friendly environment. The expected date of completion of this project is around June 2016. In keeping with its name, Azizi Orchid, is truly a project of rare beauty. Located within Nakheel’s Al Furjan – the largest layout development in the area, this 11-storyed tower project consists of 99 residential units offering a configuration of 1/2/3BHK apartments. 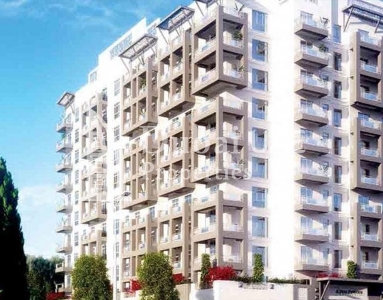 The minimum area of an apartment here is approx 874sqft, going upto a sizeable 2,088 sqft. Additionally every home here comes with an attached terrace/balcony and a dedicated car parking for its residents. Other facilities on offer here are a large swimming pool with a splash pool for toddlers at podium level, a fully equipped modern gymnasium, guest parking facility, central air-conditioning and heating, fully-equipped kitchen, laundry room and built-in wardrobes in every apartment, among others. 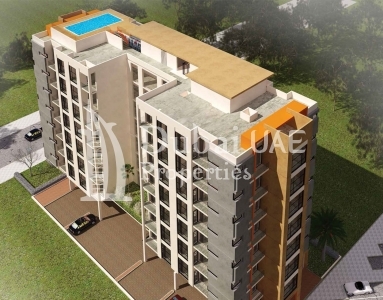 Apartments here are priced from AED 8,39,040-onwards and the project is scheduled for completion around December 2015. 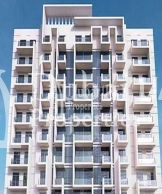 Azizi’s third project on offer at Al Furjan is Azizi Yasamine, a Gr + podium and 11 floors apartment complex offering 1, 2 &3BHK apartments with a private terrace on the podium level. 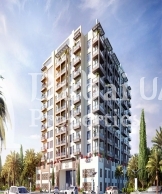 Offering an area between 935-1,800 sqft, apartments at this project are priced from AED 8,25,375-onwards. The project is located close to several landmarks that include the GE East Park, ENDC Petrol Station, IBN Battuta Mall, Discovery Gardens, and Sheikh Mohammad Bin Zayed Road. The list of external amenities at this project are: a 24-hour Concierge service, swimming pool, landscaped garden, private parking space, kids pool, modern gymnasium, earthquake-resistant RRC structure, ample water supply and podium level units. Internal specification here include: anti-skid tiles in the bathrooms, 24-hour power backup, large aluminium sliding windows, intercom, fire alarm, concealed copper plumbing, modular kitchen and weather-proof paint on the walls. Azizi Yasamine is scheduled for completion around December 2015. Another new project here (pre-launch, fourth quarter 2015) situated close to The Palms in Jebel Ali, is Aziz Feirouz, a Gr+11 floor tower on a 35,587 sq ft plot. A high-end residential complex offering a choice between 39 one-bedroom, 40 two-bedroom and 20 three-bedroom units measuring 947-1980 sq ft, the luxury apartments at Azizi Feirouz will come with a whole list of world-class amenities. A list that will include: swimming pool, gymnasium, round-the-clock security, intercom facility, maintenance staff, private parking and an adequate water supply. On the inside every apartment comes with vitrified flooring, private terrace area, power backup, aluminium sliding windows, fire-fighting equipment, concealed copper wiring, anti-skid tiles (in the bathrooms) and weather-proof paint. Apartments at the Azizi Feirouz are priced from AED 899,650-onwards.